When I was visiting my grandmother in Galena, Illinois, one of the places we went was Greenwood Cemetery. We always visit her parents and grandparents in their eternal resting place. Grandma had mentioned several years ago that there were Deiningers buried in the older section of Greenwood, but she couldn’t remember where. 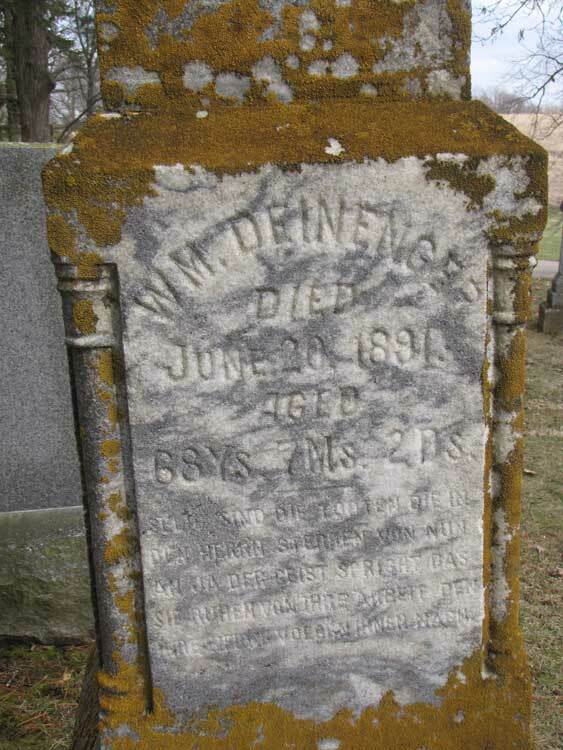 Well, after visiting the cemetery with my grandma and parents, I decided to return with my camera and see if I could stumble upon any lost family members, specifically William Deininger Sr. Of course, you might be thinking, why not try to track down a cemetery directory? That’s a perfectly rational idea, but I picked the randomly walking around the cemetery as my first option. Know what? It worked. Lo and behold, it didn’t take long and I stumbled upon Michael Deininger (William’s brother). Of course, I didn’t know it was Michael since his side was worn off, but I could read “Deininger” and the other two sides of the monument which listed his wife and child’s name. Then I came across a few other Deiningers, one of them being William Sr and Rosina or “Rosa”. So random worked! (It also helps that the cemetery isn’t that big.) I also found some Bohnsacks, Peters, and Blewetts. In celebration, I thought I’d share my pictures of Wm & Rosina Deininger’s monument, along with his biography from Portraits and Biographical Album for Jo Daviess and Carroll Counties, IL (1889), p. 443-444. Information on his brother Michael is also in this biography. 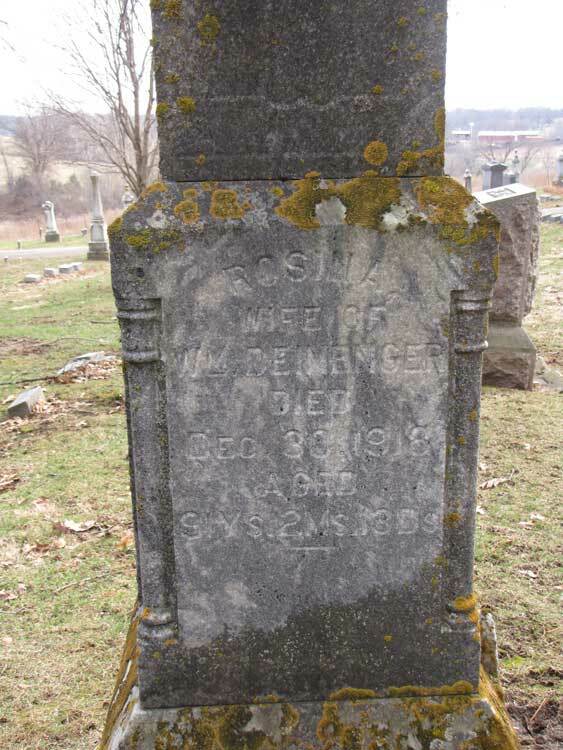 William Deininger, Sr – East Galena Township. WILLIAM DEININGER is an old settler of East Galena Township, and one of its progressive and successful farmers, having his home on section 28, but owning land on both section 28 and 29. His property consists of seventy-two acres, which he has owned since 1856. When he first got it it was but little improved, but hard labor and good management have brought it to a high state of cultivation; and now, with all the appliances necessary to successful farming, with good farm-buildings and a comfortable residence, it makes a very desirable home. Our subject was born in Wurtemburg, Germany, Nov. 18, 1822, and comes of a good German family. His father, Anton Deininger, was a farmer, and lived in Wurtemburg; dying there at the age of eighty-two years. His wife, Barbara, also died there at the age of sixty-six. The parents were both members of the Lutheran Church. Our subject was the sixth child of a family of eight children born to his parents, most of whom lived to years of maturity. He and his brother Michael are the only ones who came to the United States. 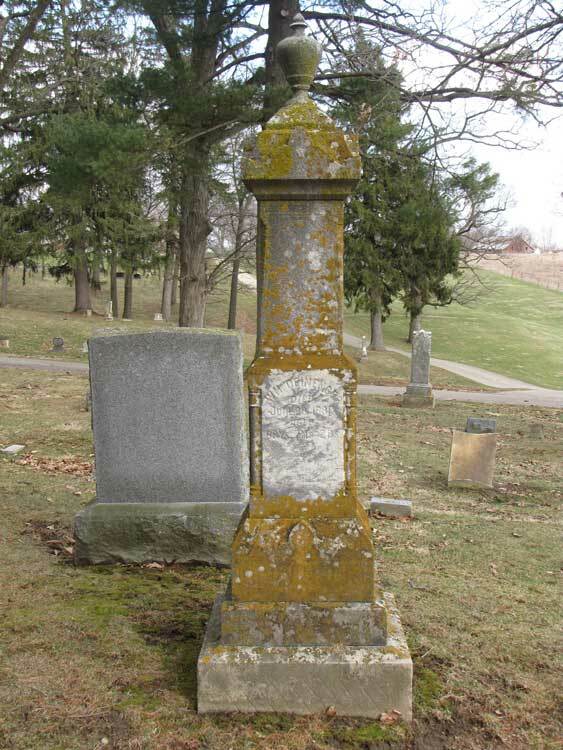 The latter, who emigrated two years after our subject, is now deceased; having died in East Galena Township in 1886. William Deininger, our subject, was reared and educated in his native country, and was thirty years old at the time of his emigration. He sailed from Liverpool, and after a voyage of thirty-six days arrived at the city of New York, May 5, 1853. He went at once to Pennsylvania, and for two years lived twelve miles from Philadelphia, near Norristown. In 1855 he came to Galena, and there he lived one year before purchasing his farm. While in Pennsylvania, he married Miss Rosa Heffner, also a native of Wurtemburg, born Oct. 16, 1827, and a daughter of Michael and Catherine (Bartlemeyer) Heffner; both natives and residents of Wurtemburg, where they died quite advanced in years. The father was a carpenter by trade, and both were members of the Lutheran Church. Mrs. Deininger was the first daughter and second child of her parents, and the only one of the family to come to this country. She and her future husband were neighbors in Wurtemburg, and came to America with him on the same vessel, later being united with him in marriage, as stated above. Our subject and wife are the parents of five children; all of whom are now living. Their eldest daughter, Barbara, is the wife of John Mensner, living on a farm in Guilford Township, this county; John is a farmer in East Galena Township, and has been twice married; his first wife, Rosa Berger, died leaving three children; and his present wife was Miss Mary Navig; Mary is the wife of Gotlieb Weik, a farmer in East Galena Township; William and Amelia are at home. A residence of over thirty years in the township has made our subject one of its best-known citizens, and his trustworthy character and correct principles have gained for him the esteem goodwill of his fellow townsmen. He and his sons are all members of the Republican party, and the entire family belong to the Lutheran Church.